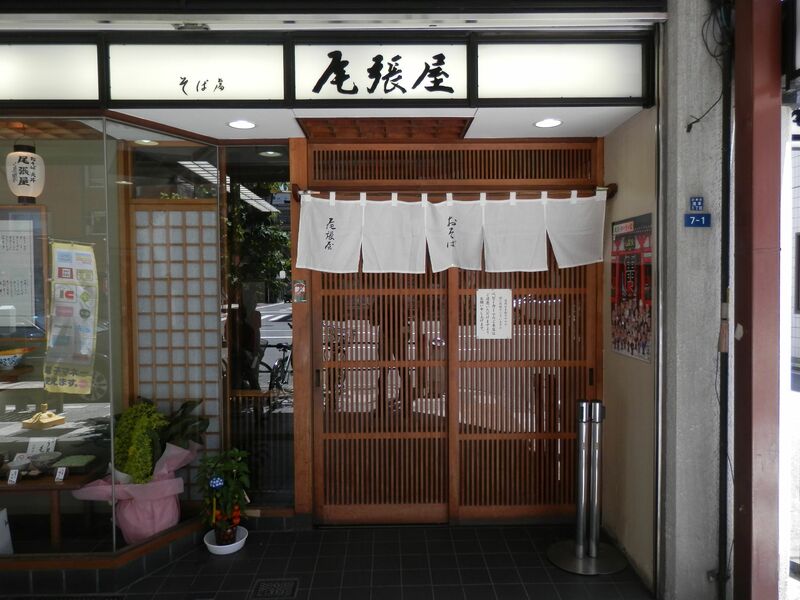 Today, I visited a long standing soba restaurant, “Owariya Honten” which had been established in 1870. It is located about 5 minute walk from Asakusa station. It has a branch near Kaminarimon. This time, for the purpose to avoid crowdedness, I chose Honten which was a little bit far away from relevant station. I arrived there at 11:33, 3 minutes after its opening and was urged to go up on the 2nd floor. Here came a dish in 5 minutes. 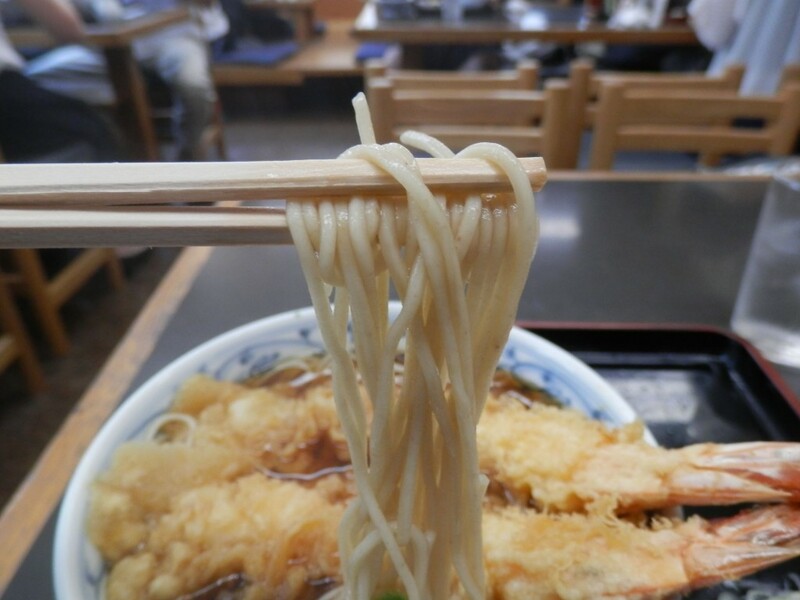 Speaking of “Owariya”, everybody remembered “Tempura Soba”(￥1,400). 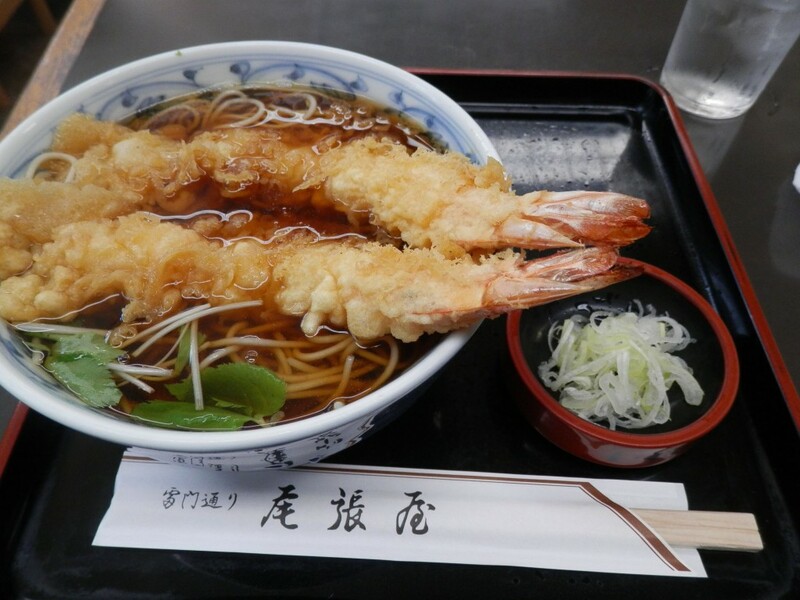 I became happy only by looking at such big shrimp tempuras. 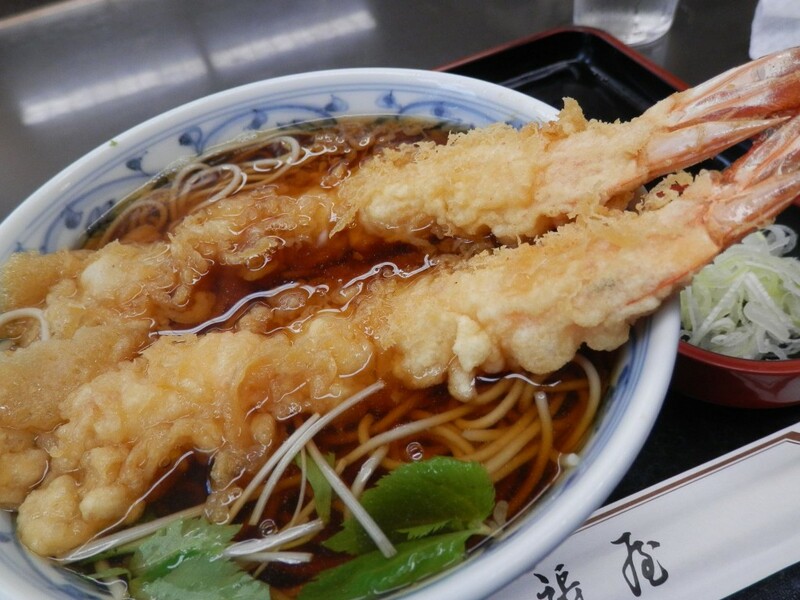 Then, I would start with a shrimp tempura. The batter was rather firm and was not at all oily. You would not feel heavy even if you ate a lot. Shrimps were very fresh and had comfortable texture. Tasty batter with soup and sweet taste of shrimps made me happy. Noodles were firm and delicious as well. It seemed I could encounter warm hospitality in traditional areas in Tokyo.